MK Afou Agbaria publicly called for an Arab Intifada during the heated discussion on a law legalizing Bedouin land grabs. An elected Arab member of Knesset on Monday publicly called for an Intifada (violent uprising) during the heated debate on the law which legalizes pirate Bedouin settlement in the Negev. MK Afou Agbaria (Hadash) was one of several Arab MKs who got up to the podium to denounce the bill, because of one of its sections which stipulates that Bedouins who have no proof of ownership of the land on which they built their homes will be forced to leave their homes and be given alternative land. The plan, which was proposed by former Minister Benny Begin just before the last elections, will add more Bedouin settlements to the list of those that will receive official recognition, and increase the amount of land that will be handed over to Bedouin as part of an agreement. The Arab MKs, however, chose to ignore this. While most of the Arab MKs who spoke during the discussion chose to tear up a copy of the proposed bill, MK Agbaria took things one step further. As he spoke at the plenum, Deputy Finance Minister Mickey Levy (Yesh Atid) interrupted him. Agbaria, in response to Levy, said, “I am in favor of a new Intifada, because you are causing a new Nakba in the Negev.” Nakba, meaning catastrophe in Arabic, is the word described by Arabs to describe the founding of the Jewish State. Many of the Arab MKs who serve in the Knesset are notorious for their anti-Israel positions and actions. One of these MKs is Hanin Zoabi, who took part in the 2010 attempt to violate Israel’s naval blockade of Hamas. Zoabi was aboard the ship Mavi Marmara, where IDF soldiers who boarded were violently attacked. A video clip indicates that she knew of the planned attack in advance. Zoabi was later caught rubbing elbows with senior Hamas terrorists. She has also been criticized for anti-Israel speeches, including one in which she claimed that “the Israeli occupation” was behind the murder of Israelis in Bulgaria. Tibi in 2012 went to New York to be a part of the Palestinian Authority’s delegation to the United Nations when it presented its unilateral statehood bid. As well, Tibi praised the Palestinian Authority’s “martyrs” at a ceremony held on the occasion of "Palestinian Martyrs Day” and sponsored by PA chairman Mahmoud Abbas. Another Arab MK, Jamal Zahalka, several months ago denounced “Israeli apartheid” during a lecture in Canada, ignoring the fact that Arabs living in Israel enjoy the same equal rights as Jews. 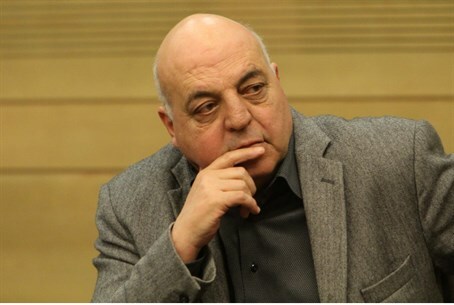 The Knesset’s Ethics Committee decided last week not to sanction Zahalka despite his anti-Israel comments.